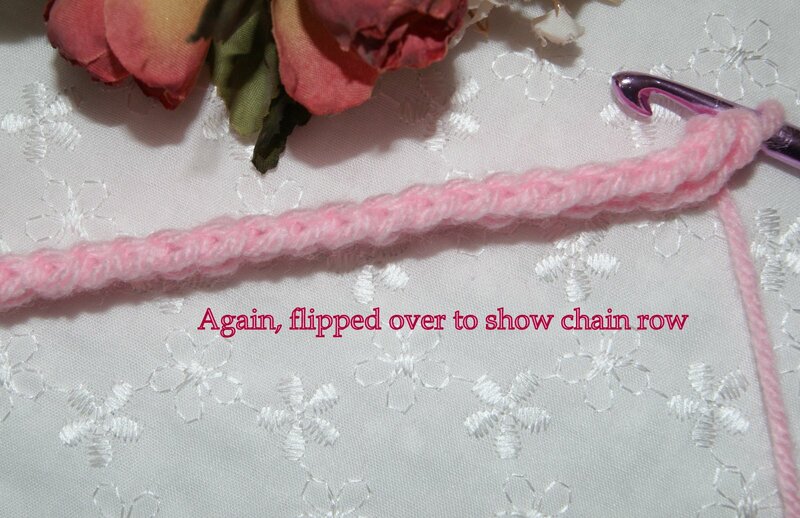 It just makes a subtle difference in the look of your leaf or whatever you are crocheting. 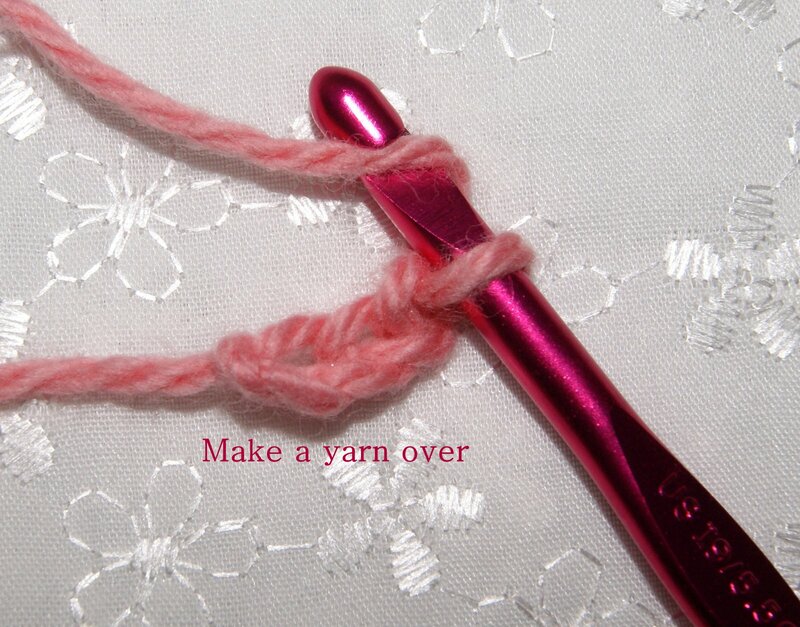 If you are a “newbie” to crochet, then here’s a great demo on how to complete a single crochet stitch. 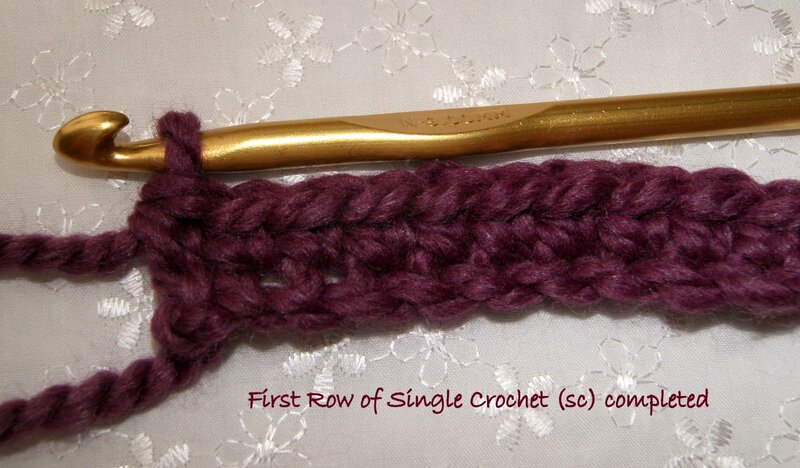 In a pattern, you will find that the abbreviation for a single crochet stitch is SC. My example has been crochet using a large hook, size N and super bulky yarn, category 6, to try to give you the best visual that I can. 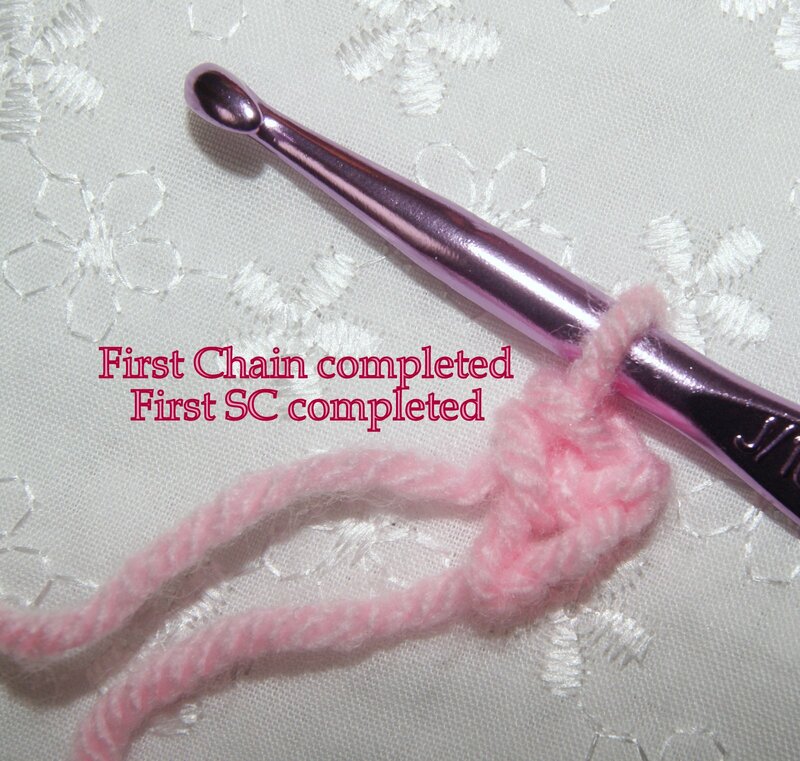 I started with 12 chains and completed my first SC in the 2nd chain from the hook. 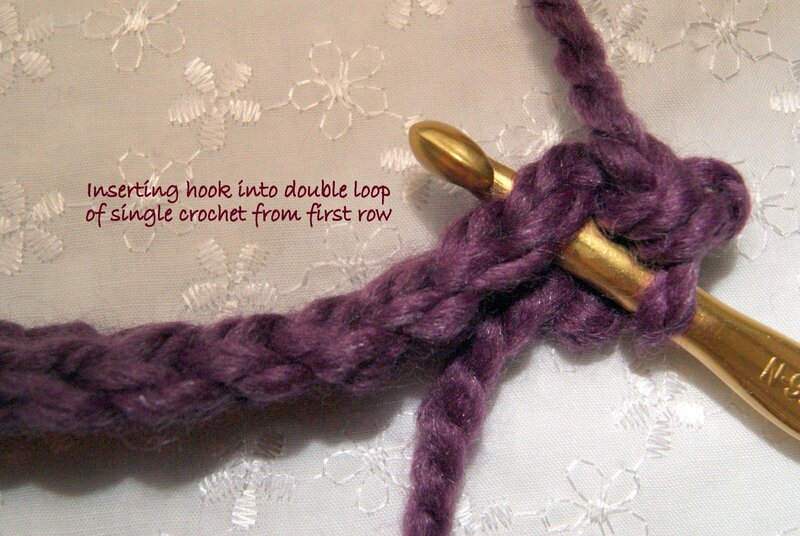 Insert your hook in the single top loop only of the chain to complete your actual first single crochet. 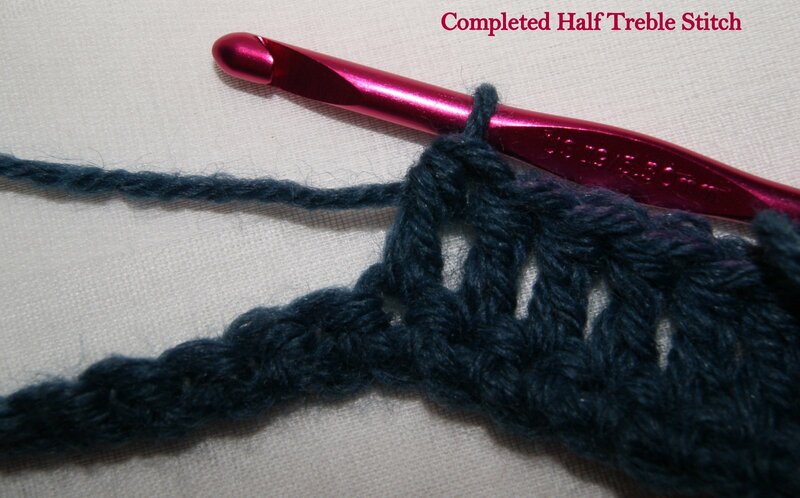 You will have 11 working stitches when that row is completed. 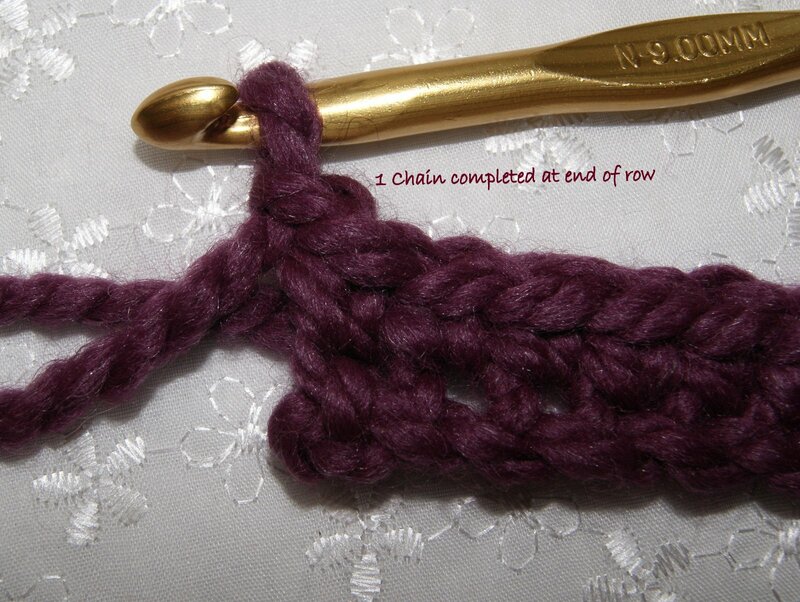 At the end of the row, I will chain 1 and turn and begin my next row of SC stitches inserting through both loops in new row. 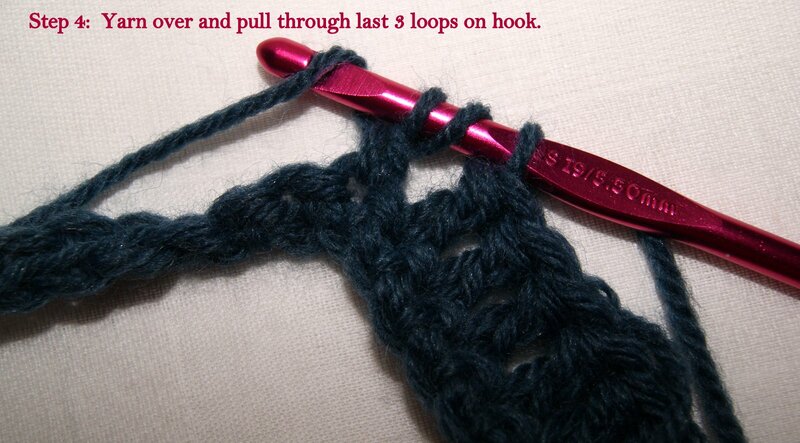 You will have one loop on your hook and insert it through both loops on the first stitch of the new row. Remember, you do not want to go into the chain that you just made. 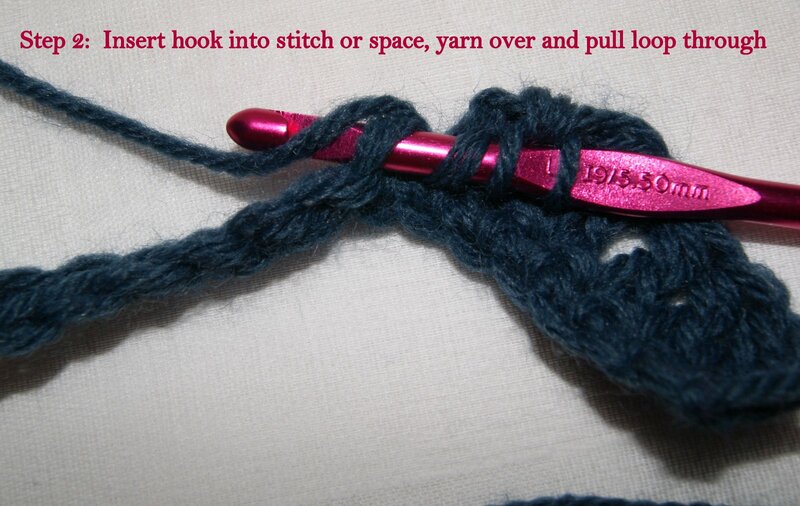 Once your hook has been inserted, yarn over (yo) your hook and bring that loop back through the double loop. 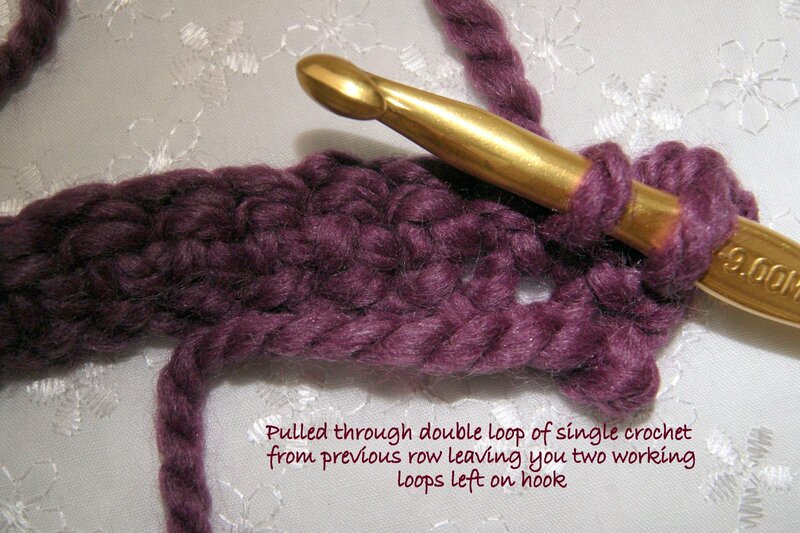 You now have two loops on your hook. 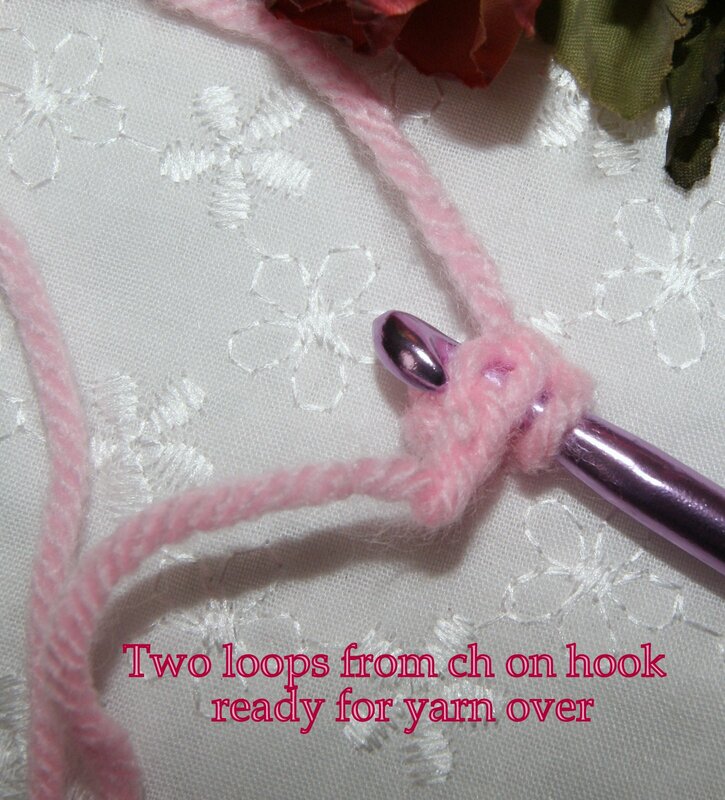 Yarn over (yo) again and pull that loop through both of the loops on your hook which will leave you with just one loop left on the hook. 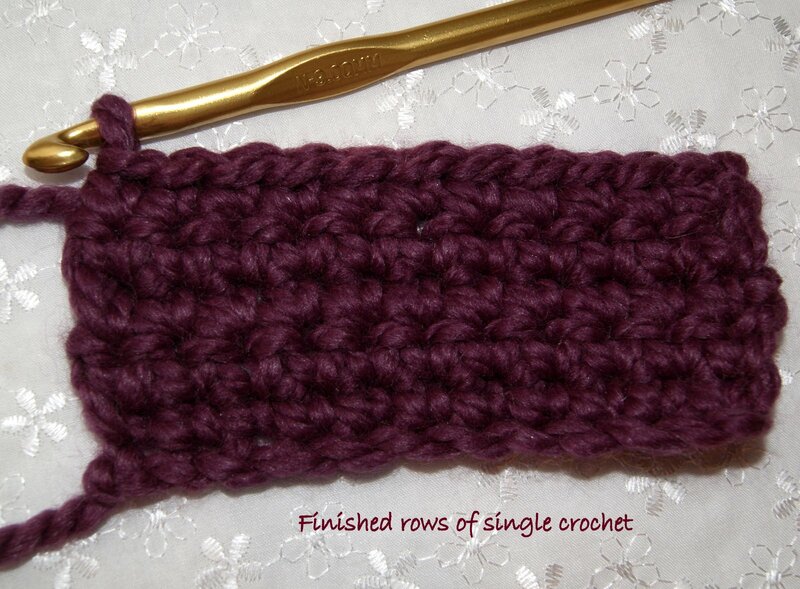 You have just completed one single crochet (sc) stitch. Continue in this fashion for a total of 11 stitches. When you come to the end of your row, chain 1 and turn your work and repeat the above stitch information for another 11 stitches. Keep repeating this process. 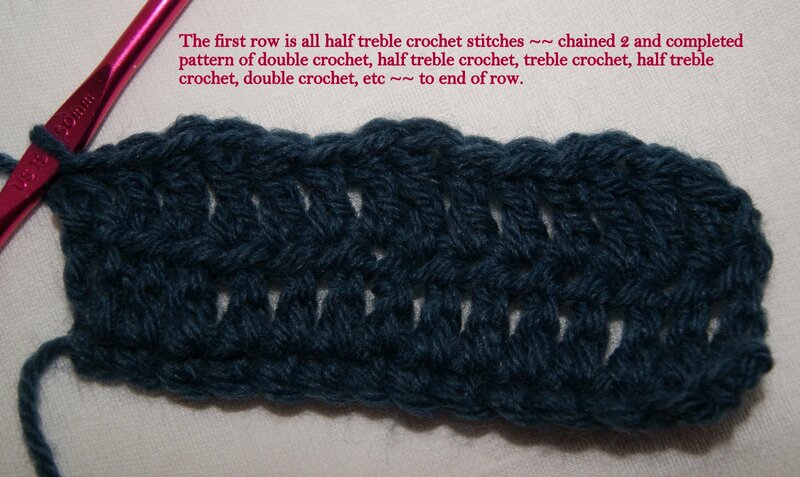 Making a single crochet swatch is fun and you can create many things from just doing this one stitch. 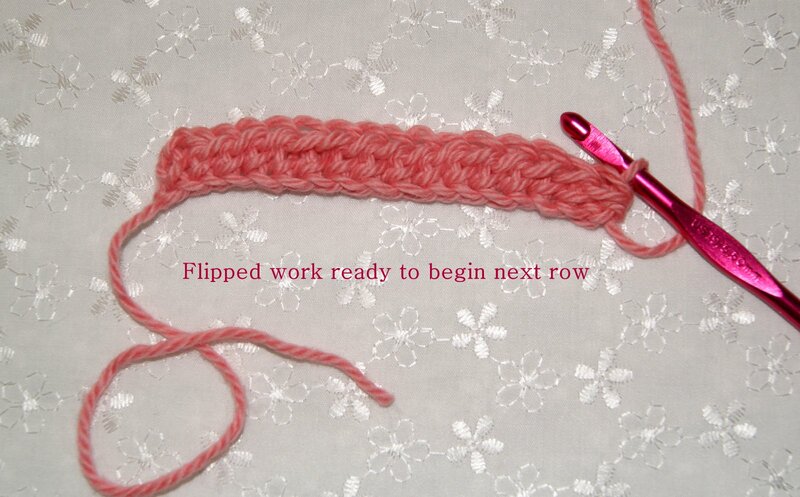 A simple scarf, headband, bracelet, baby blanket whatever you want to make. 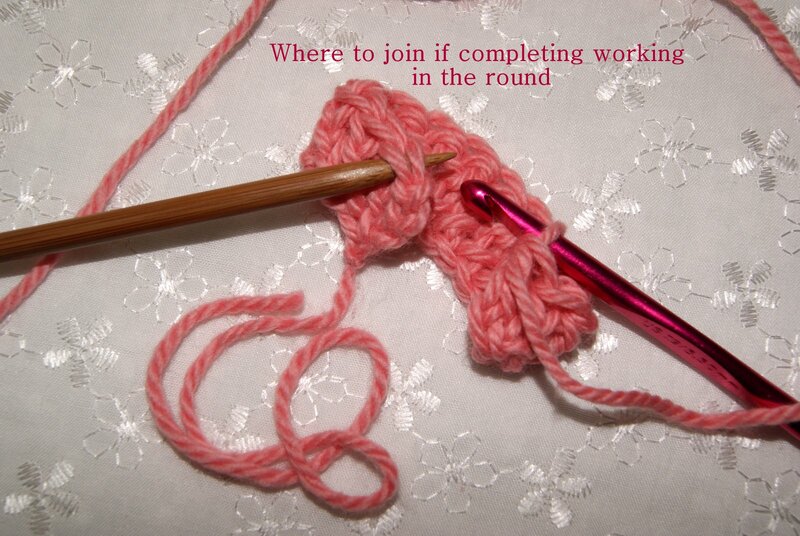 This is also a wonderful stitch to teach a child who wants to learn to crochet. 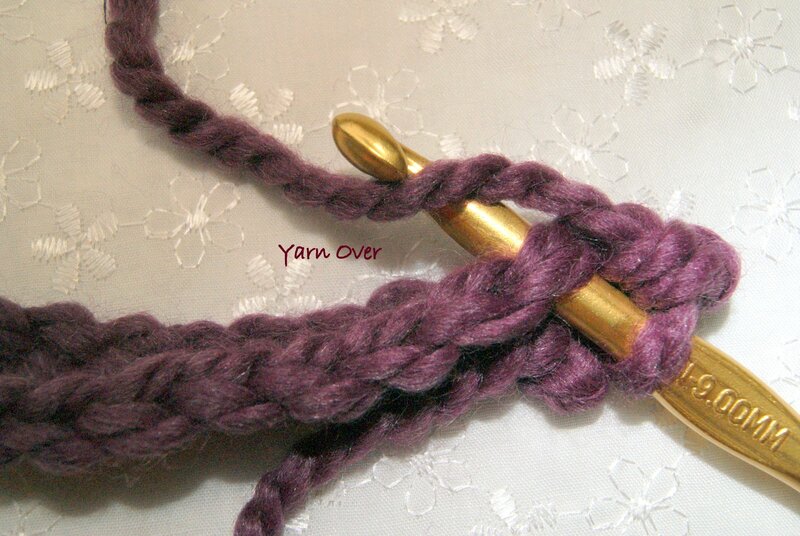 Use a large hook size, maybe H or I for a beginner or child, and a worsted weight to chunky yarn (category 4 or 5). 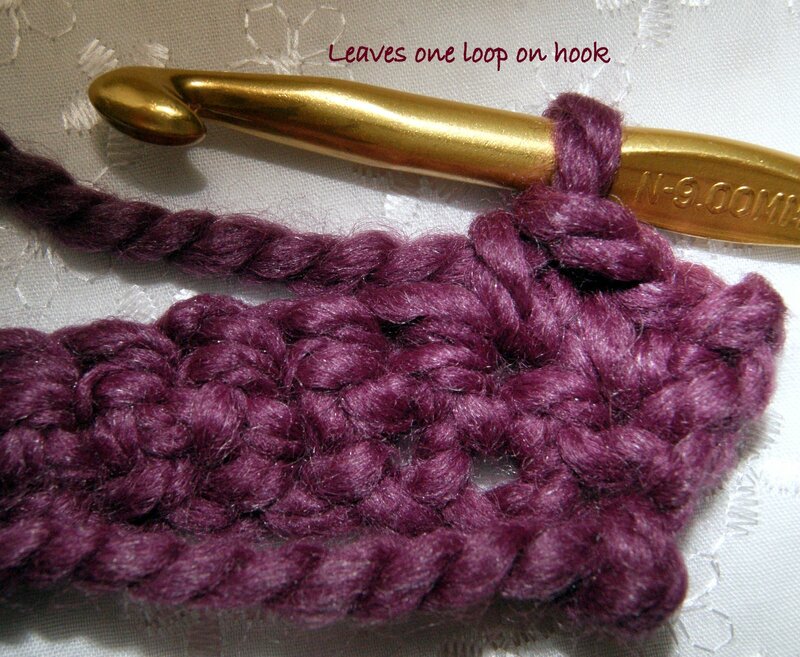 Easier to see the different loops that are created and easy to work with especially for little fingers and hands. 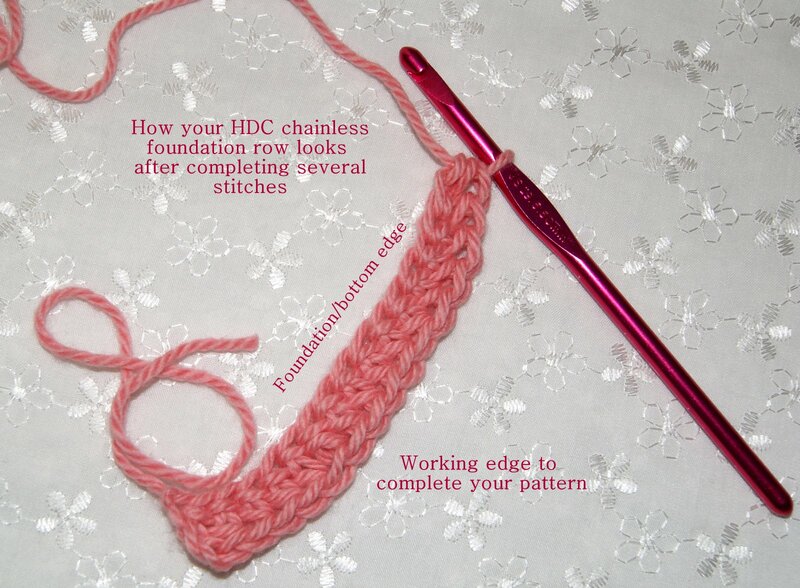 Here’s another tutorial on the chainless foundation stitch showing how to begin using the double crochet (DC) and/or the half double crochet (HDC) stitches. 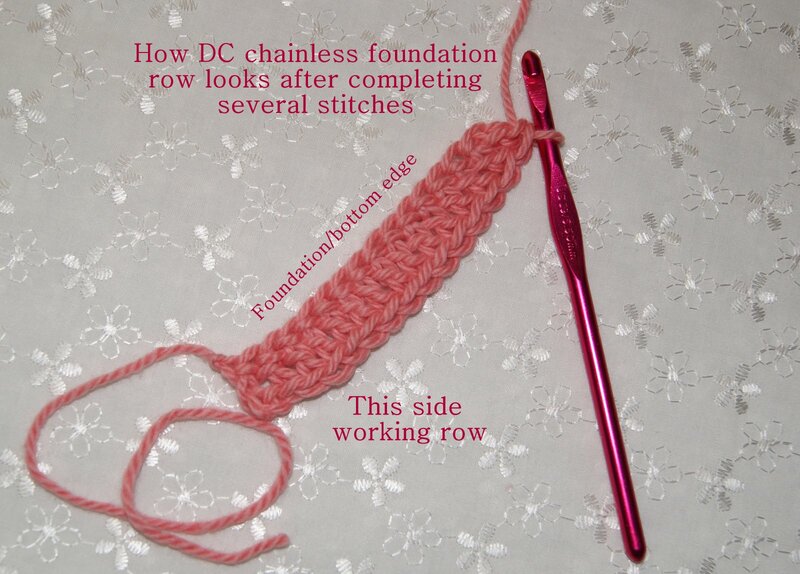 There are only 2 differences when beginning a project with these particular stitches from the single crochet (SC) chainless foundation. 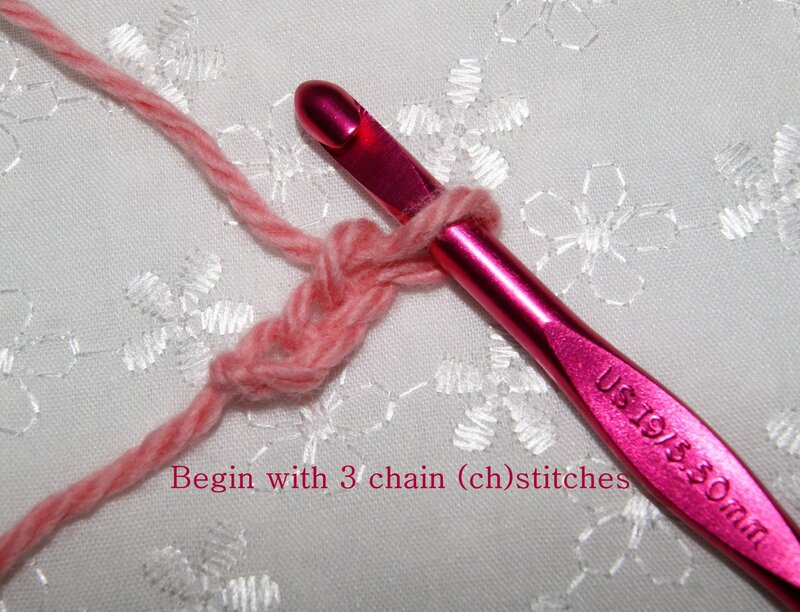 After completing steps to make your chain foundation stitch, yarn over and work the remaining stitches just like you would for a double crochet (dc) stitch. 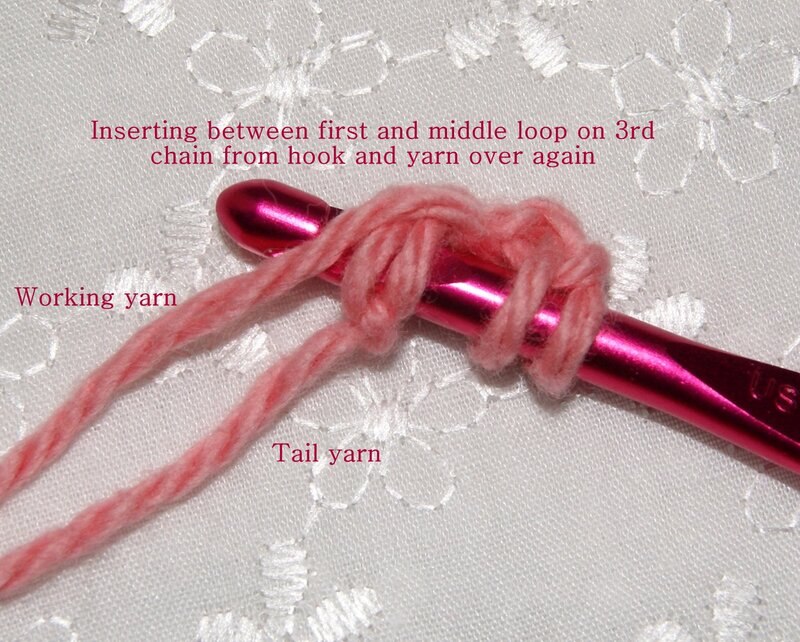 If your project wants you to work in the round, be sure to leave yourself a 4-5 inch tail for joining seams when making your beginning chain stitches. 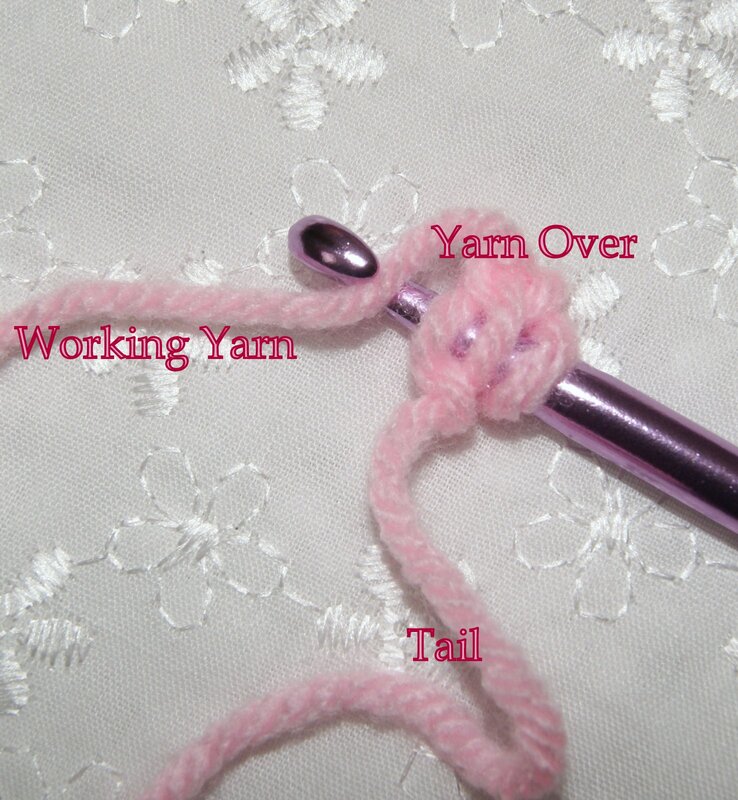 This is a super stitch for ribbing on clothing, hats, etc. 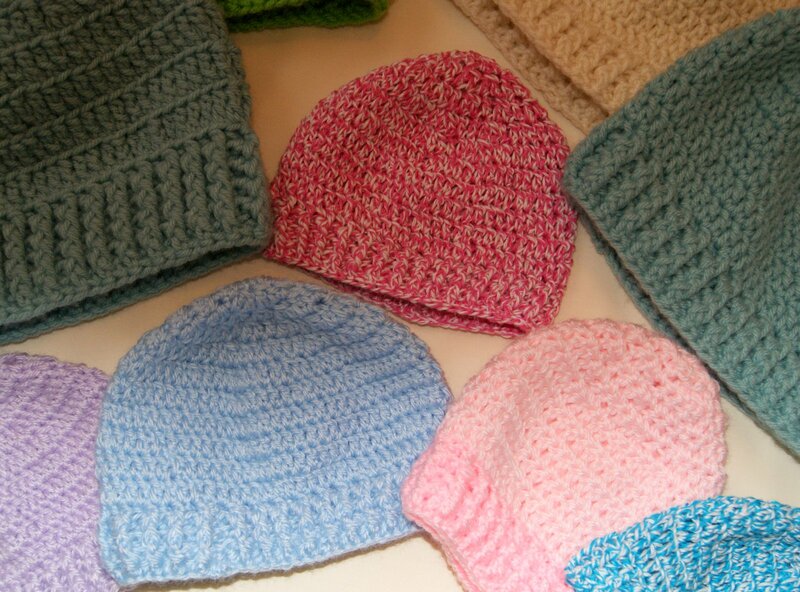 I have designed a beanie pattern using the chainless foundation stitch crocheting the beanie from the bottom to the top. 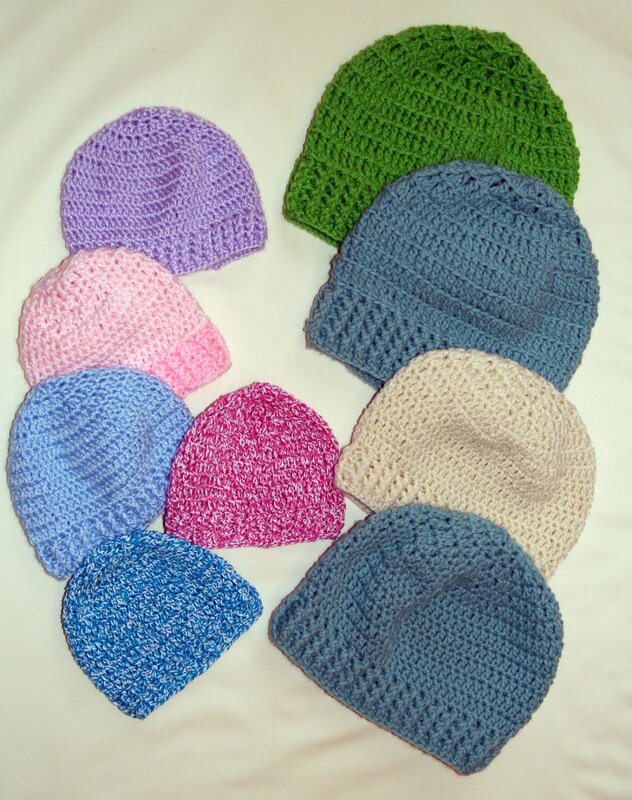 Have been making these and donating them to my local hospital (new maternity ward) and Martin Head Huggers organization as chemo caps. 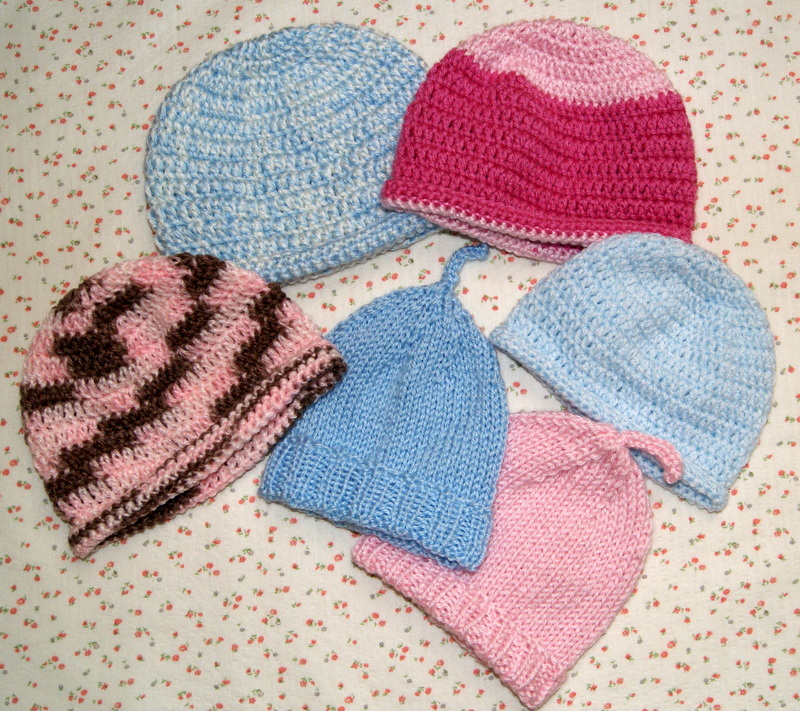 If interested in making chemo caps, you can click on this link for patterns and information www.headhuggers.org. 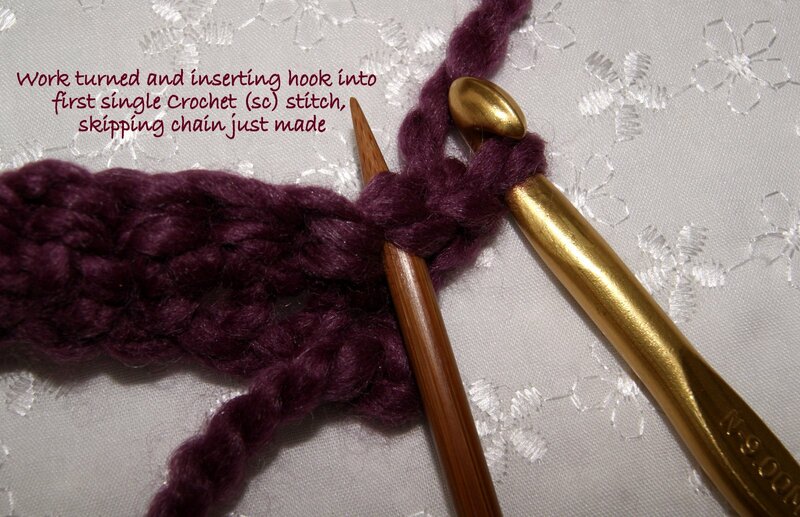 I think this is one of the coolest stitches you need to have in your crochet dictionary. 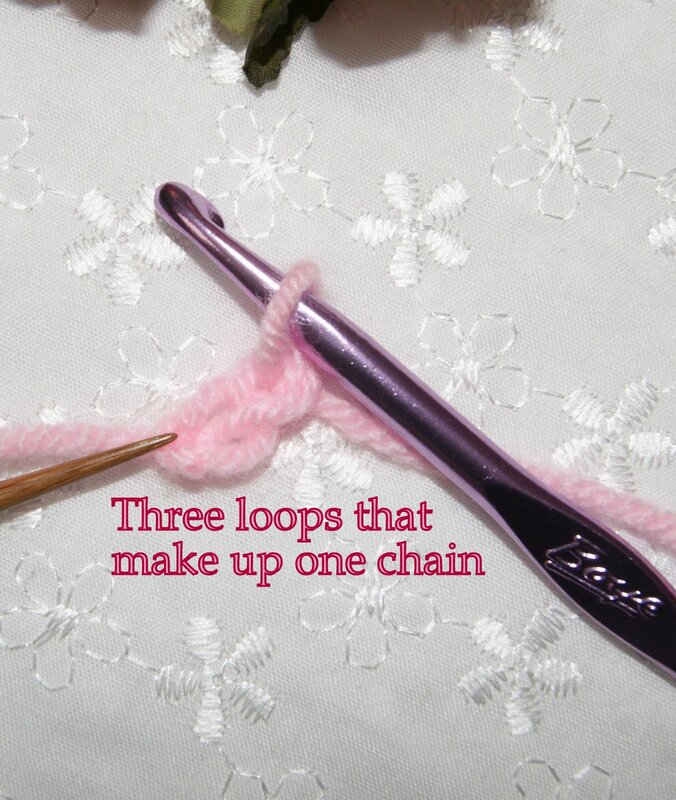 It is a perfect stitch to do especially if you have a tendency to crochet your beginning chain a little too tight, which I seem to do!! 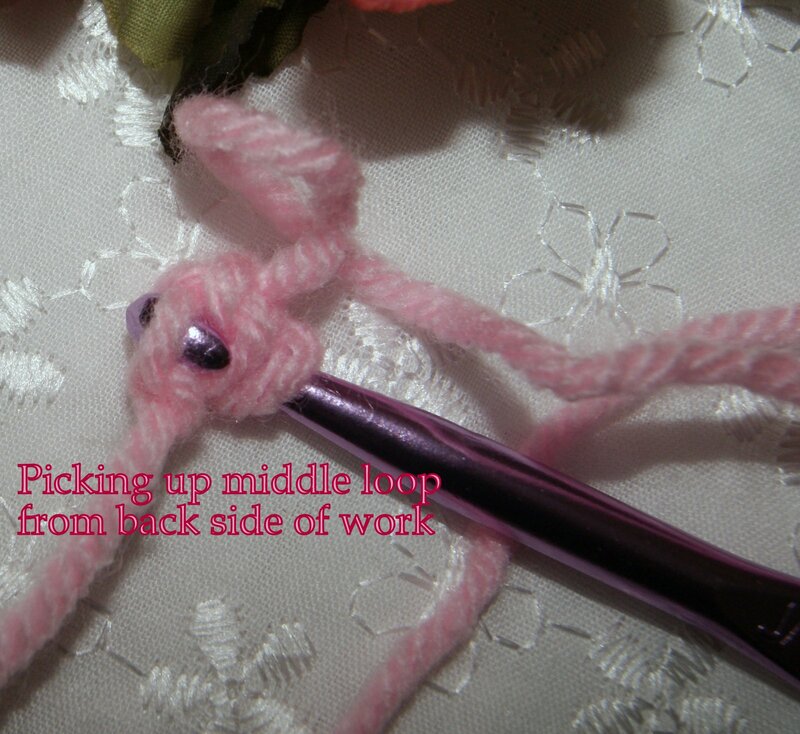 It is a little tricky for just the first stitch or two and I hope I can show you clearly enough so you can learn how to do this fabulous technique. 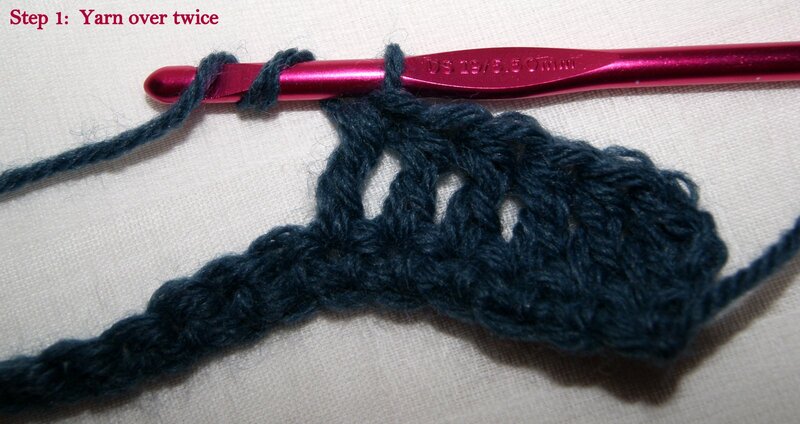 It is sometimes called Foundation Single Crochet (FSC) or referred to as Base CH/SC. 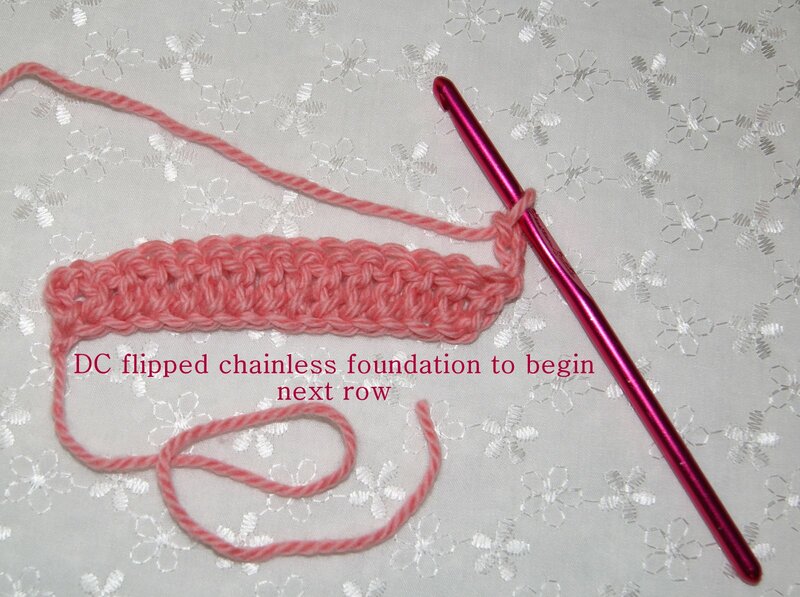 Let’s begin the single crochet (sc) chainless foundation stitch. 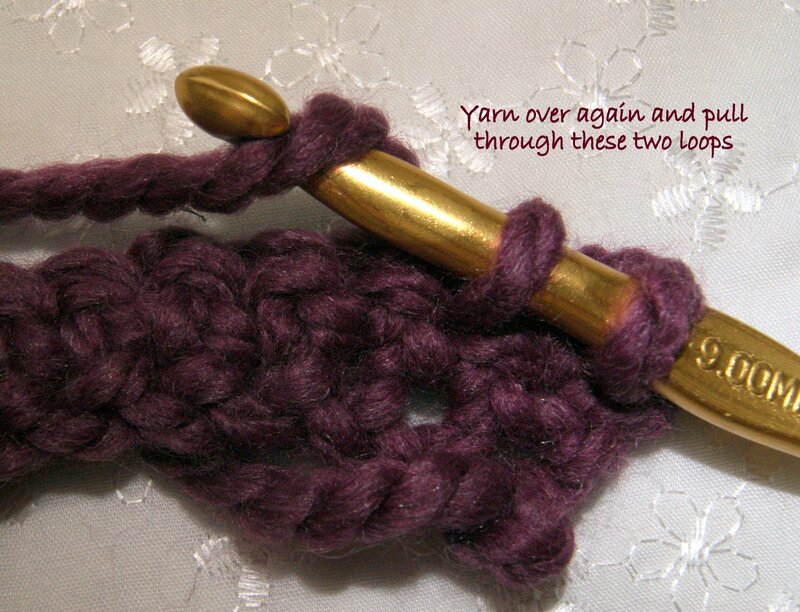 My examples will be using a J hook and medium (category 4) worsted weight yarn. Trying to make pictures large enough so you can see exactly what I am doing. 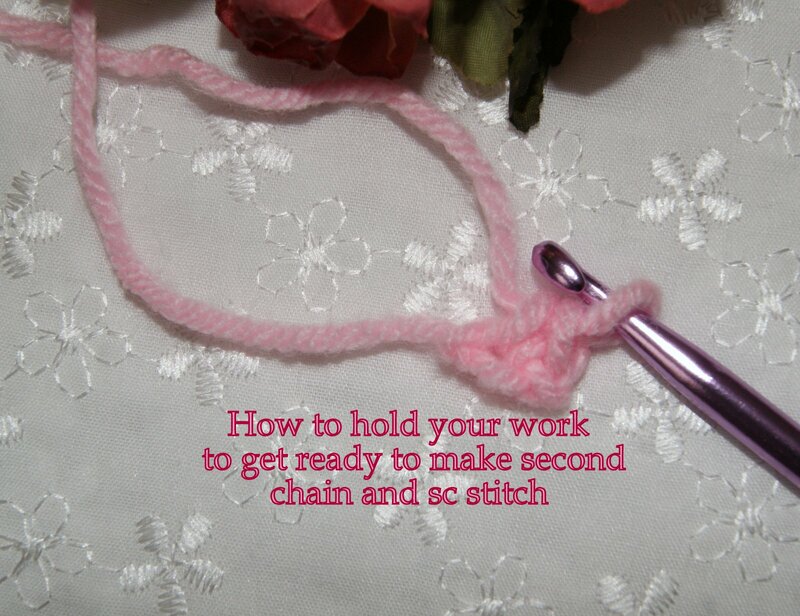 Beginning: Make a slip knot onto your hook and complete two (2) chains (ch). 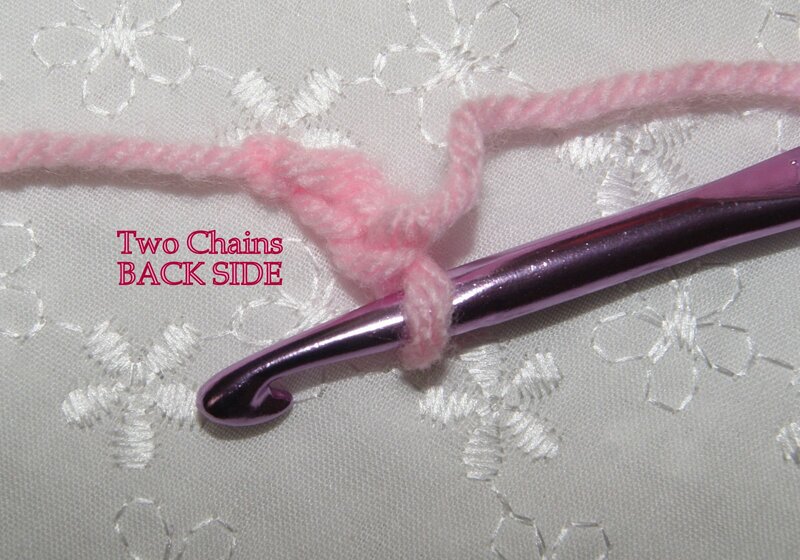 Take a moment and look at how the chain stitch looks from the front and how it looks on the back side. 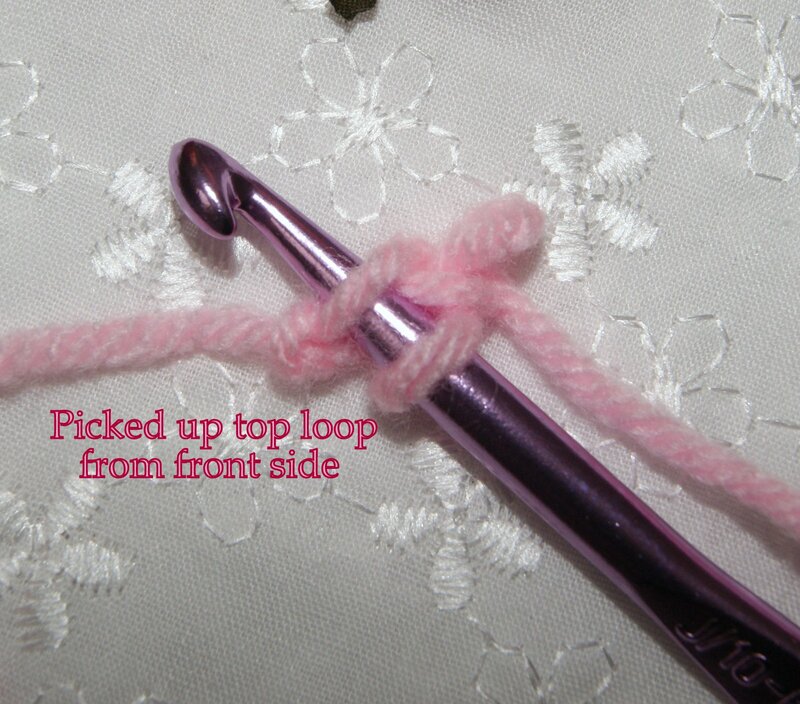 You will now want to pick up the top loop of the 1st chain made and slide it on your hook and pick up that middle loop which is on the back side of the 1st chain made and slide them on your hook . 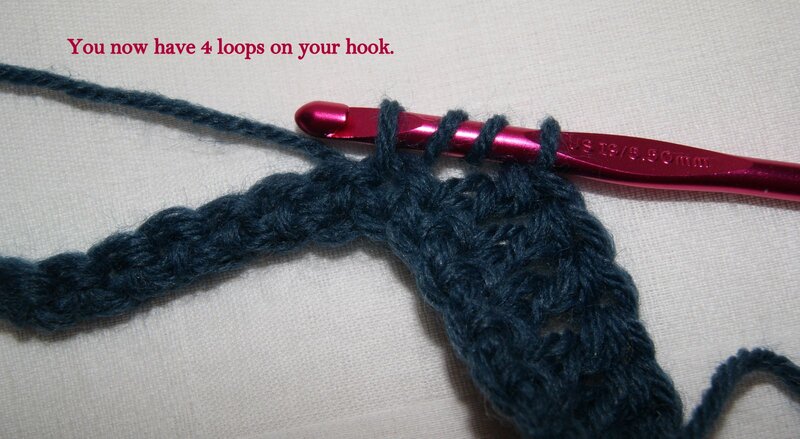 So now you have three (3) loops on your hook. 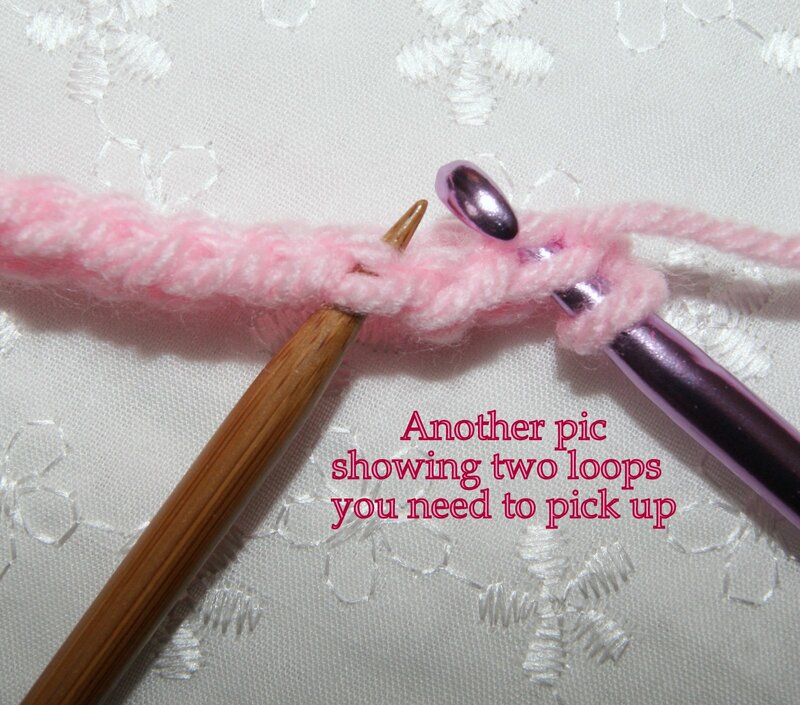 You will yarn over and slip through the top two (2) loops on your hook, yarn over and go through first loop on hook (chain stitch just made), yarn over and go through both stitches on hook (single crochet stitch just made). 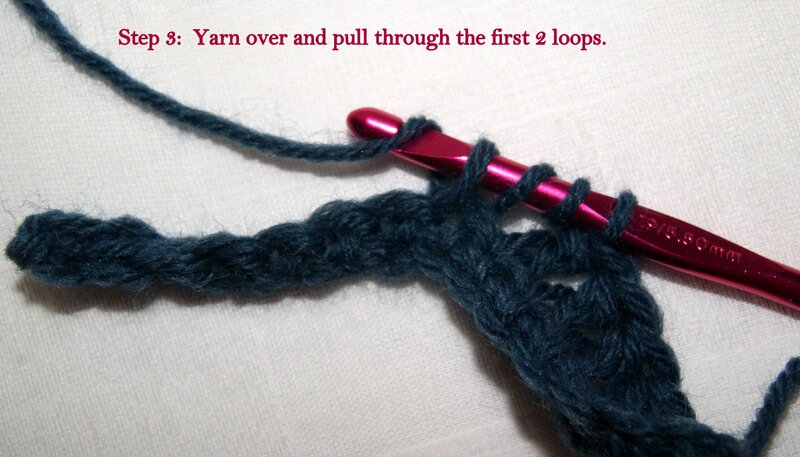 For me, reminding myself of these two steps helped me until I got my rhythm and the feel of this stitch because you are actually creating two stitch rows (a chain row and your beginning sc row) at the same time. Cool, huh!! 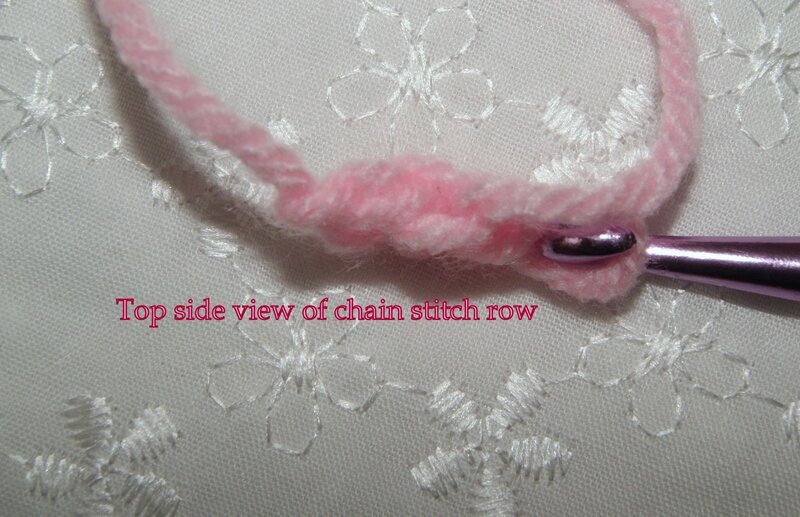 Second Stitch: Your work will want to hang downwards (vertically), but you want to hold it sideways because that top edge becomes your chain row and what is below is your single crochet row. 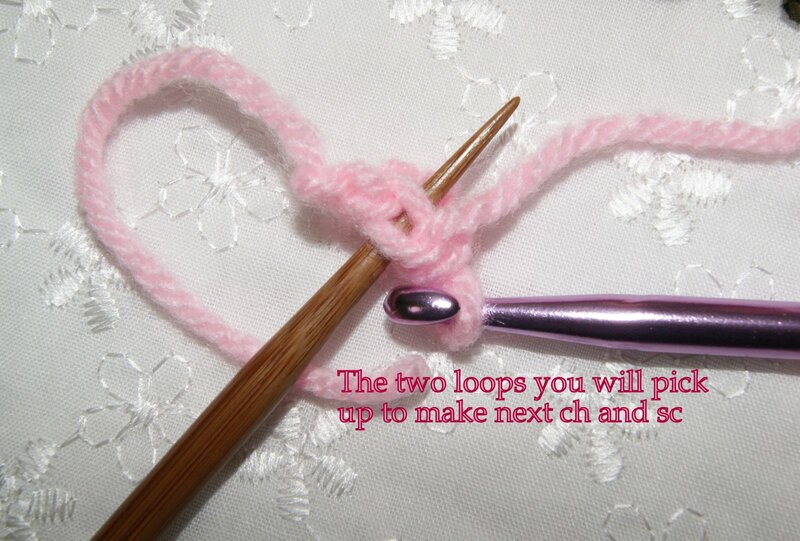 You will pick up both the front and back loops of the next chain stitch, yarn over and pull both loops, yarn over again and pull through first (one) loop (chain stitch completed), yarn over and slip through both loops (sc completed). 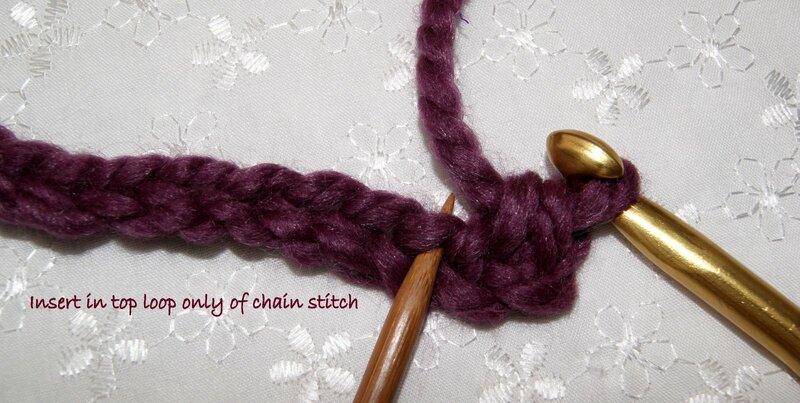 Third Stitch: Continue exactly the same as you did for the second stitch and you will continue to crochet your chainless foundation just like this until you have the required numbers of chains needed for your pattern. 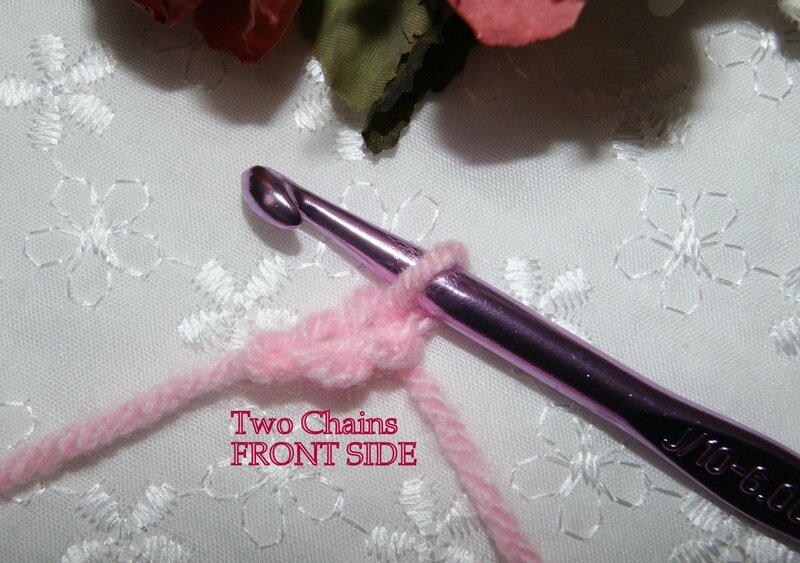 When you have reached the end of your foundation row, chain the required number of stitches you need to make your third row, no turning necessary. 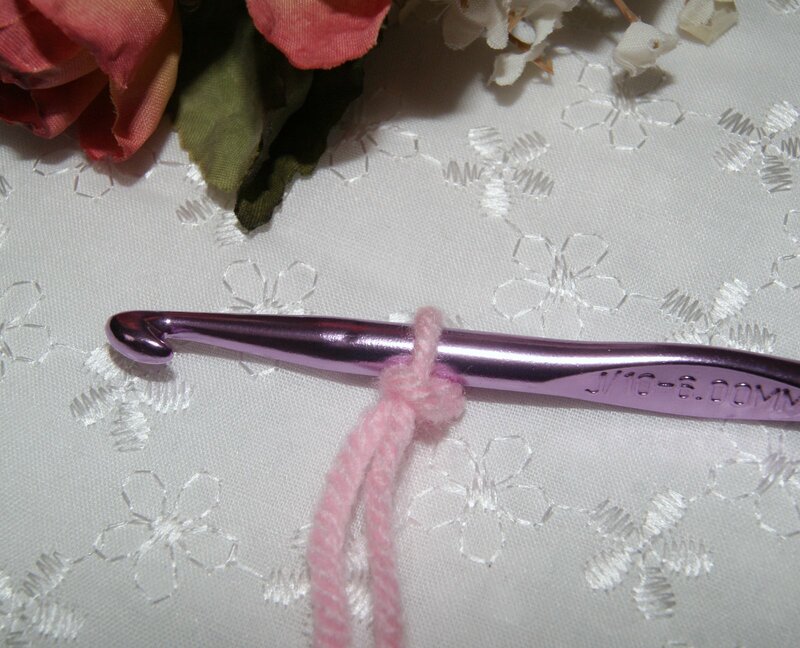 But you will need to flip your work over so that you are continuing along the single crochet edge and not the foundation edge. 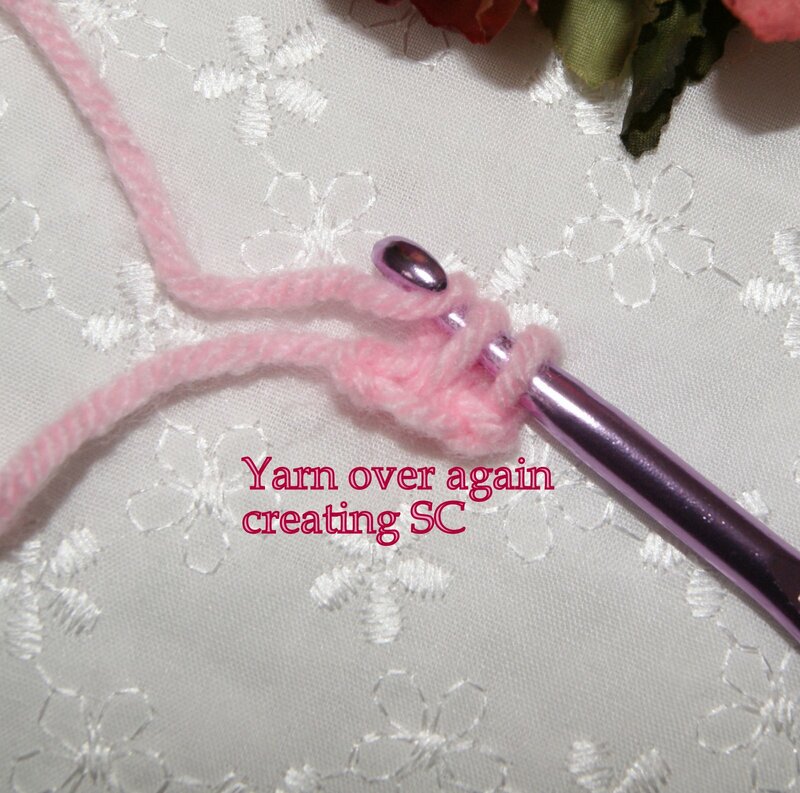 If continuing in a sc pattern, you would only need to chain one and make more sc stitches. 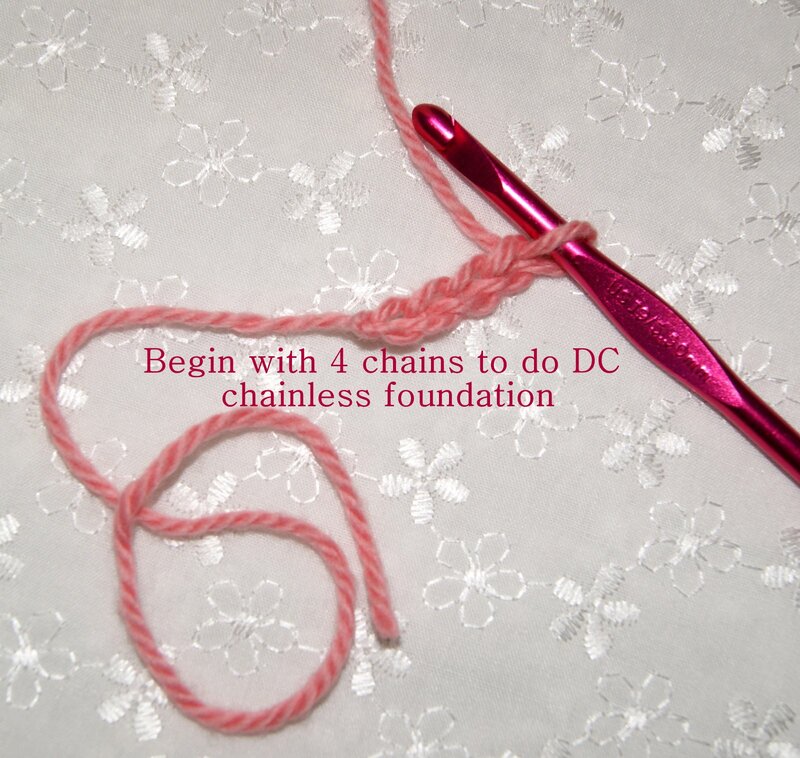 If needing to crochet a double crochet row (dc), you would crochet three (3) chains and then proceed making dc stitches. 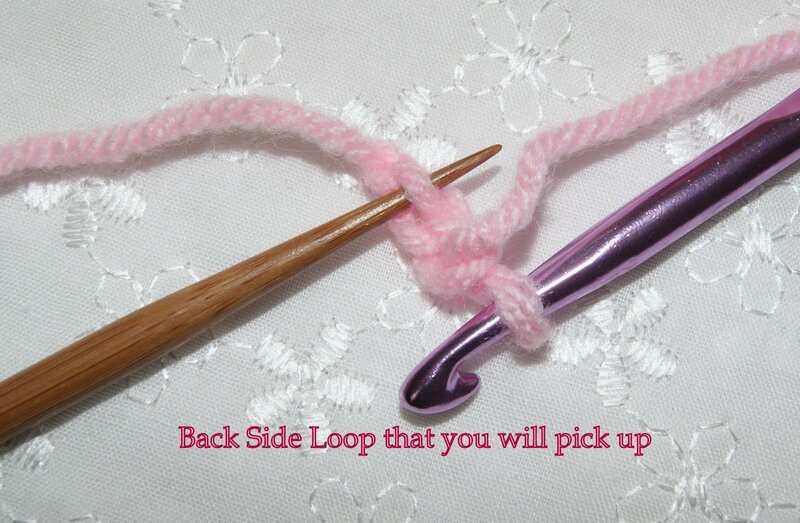 Also, follow directions given in your pattern if you need to go through both loops, or front loop only, back loop only, etc. 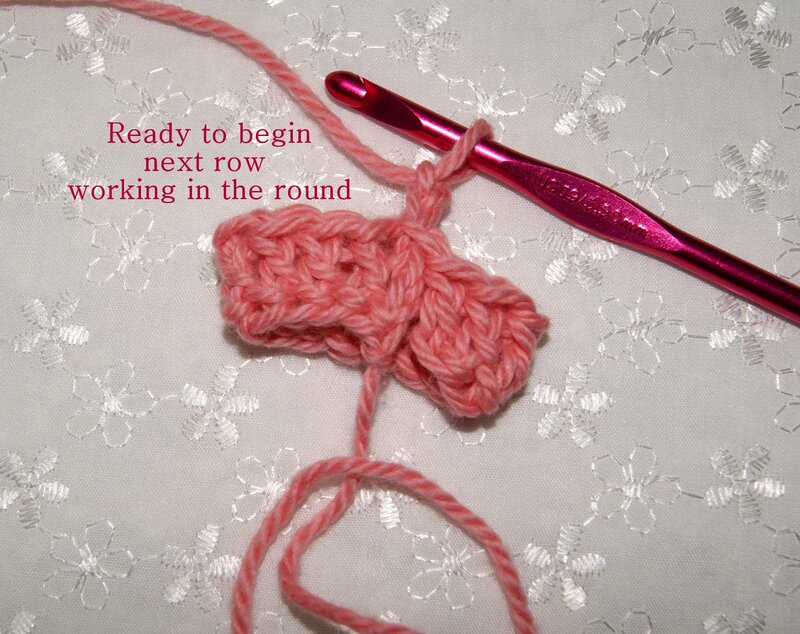 At the end of your third row, you would turn to come back making the necessary stitches for your pattern and continue with the pattern directions. 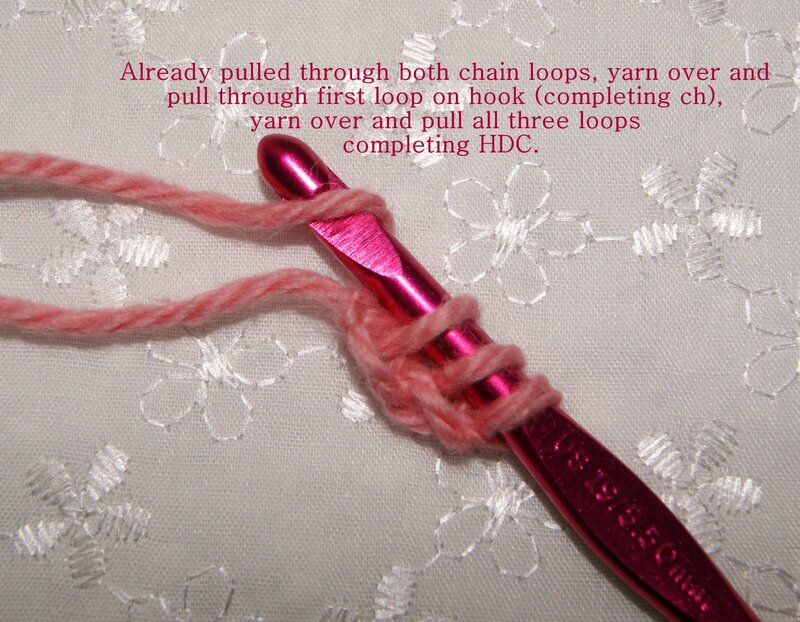 My newborn crochet pattern could also be created using the “magic” loop technique. 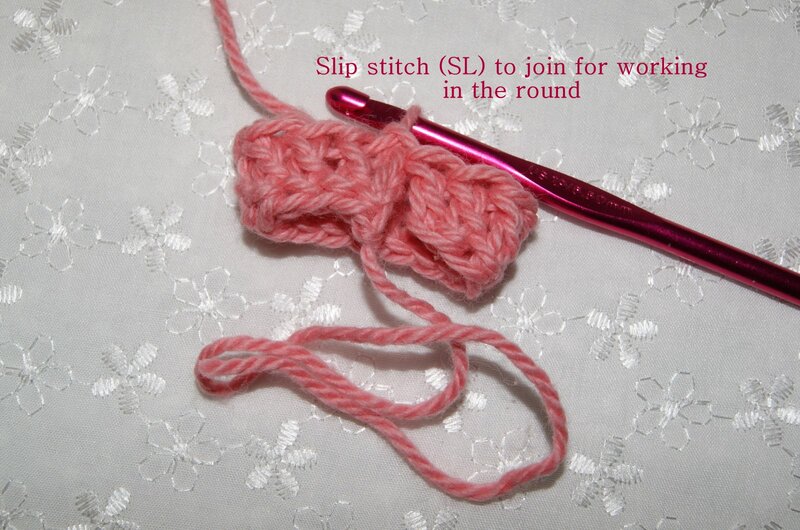 Just make your loop and crochet your 12 DC (double crochet) in the center of the loop, join with a SL (slip stitch) in the first DC and continue to follow pattern with round 2.